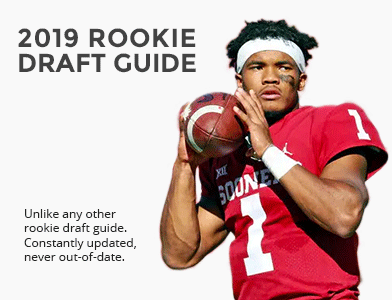 Click on the tab of an individual ranker to view their personal 2019 rookie TE rankings, including possible comments and tiers. You can filter these rankings by last date updated as well as sort by columns. 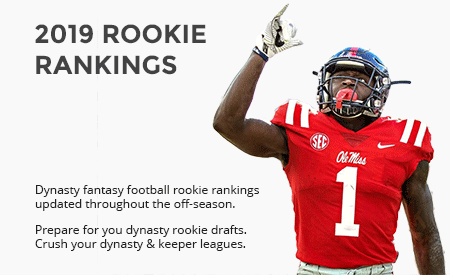 Our complete list of dynasty rookie TE rankings are available to DLF Premium Subscribers. You are viewing a limited sample list of our 2019 rookie TE rankings. Our full set of rankings include improved functionality, tiers and comments by ranker, and more. 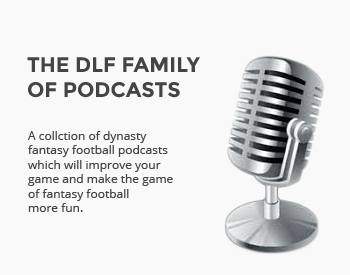 If you wish to view the complete list of dynasty rookie TE rankings, please consider one of our DLF Premium Membership options.